You are here: Home / Protein / Pork / Barbecue Pork Skewers with Peach-Bourbon Barbecue Sauce. Your grill's been so lonely... Get re-aquainted with this spicy-sweet recipe! ​ I know you're gonna fire up the grill this weekend. This recipes is fantastic and the spice rub has so much flavor. It's equally delicious on chicken and shrimp. I keep a batch of this barbecue spice rub mixed up at all times. It's the perfect way to add flavor quickly with out a lot of prep work. PRO TIP: Think like a prepper! 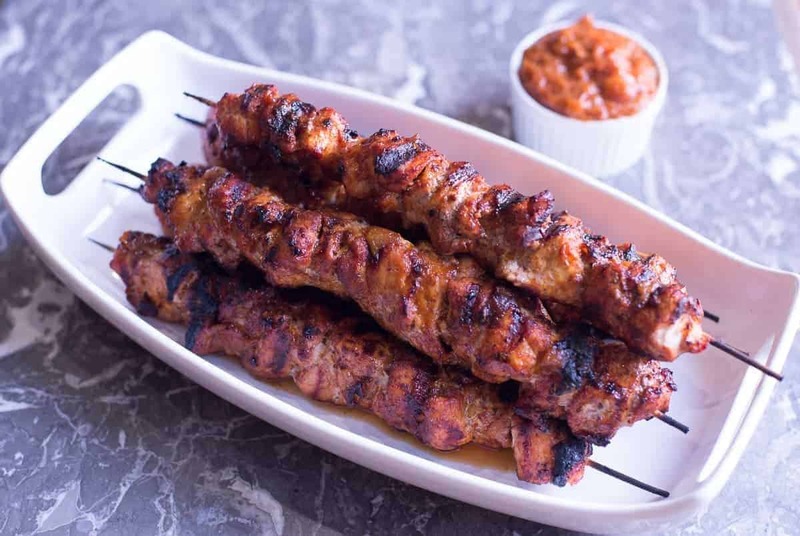 Why not make a double batch of these sweet and spicy Pork Skewers? Perfect! Now you're already halfway done with lunch for the week. Smoky-Sweet Barbecued Meat! A sweet and spicy kick is just what Summer ordered! 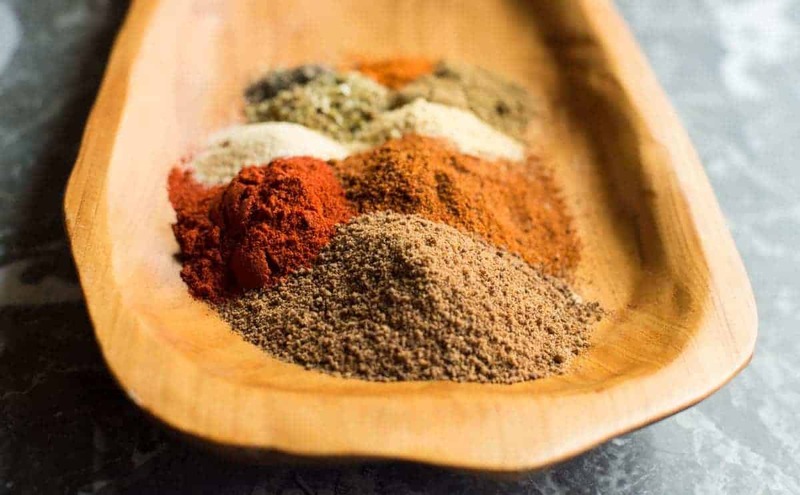 Whenever I'm building a recipe I have a flavor profile in mind, and I usually have some sort of spice mix that I've concocted to go with that profile. Over the years I've created hundreds of spice blends. My favorites have stuck around – I use those over and over again. I make 'em up in batches and usually have a metric ton on hand at all times! This recipe calls for my signature Barbecue spice rub, probably one of my most requested recipes. If you want my top 5 most requested spice mixes you can download them here. Adding a few tablespoons of this barbecue spice rub to whatever meat you're making gives it a flavor like –I took all day preparing this. Of course grilling is always my first choice when it comes to cooking but you can also bake these in the oven OR even just put a little bit of coconut or avocado oil in a sauté pan and cook your meat that way . One of my favorite ways to use the barbecue spice rub is in the slow cooker with a pork shoulder. Hello pulled pork heaven! You can get the recipe here! A batch of signature spice mix. On hand – ALL THE TIME! A quick and tastytrip to flavor town. This recipe isn't a fast recipe but the time and effort is so worth it. You seriously cannot live without tasting this barbecue sauce. 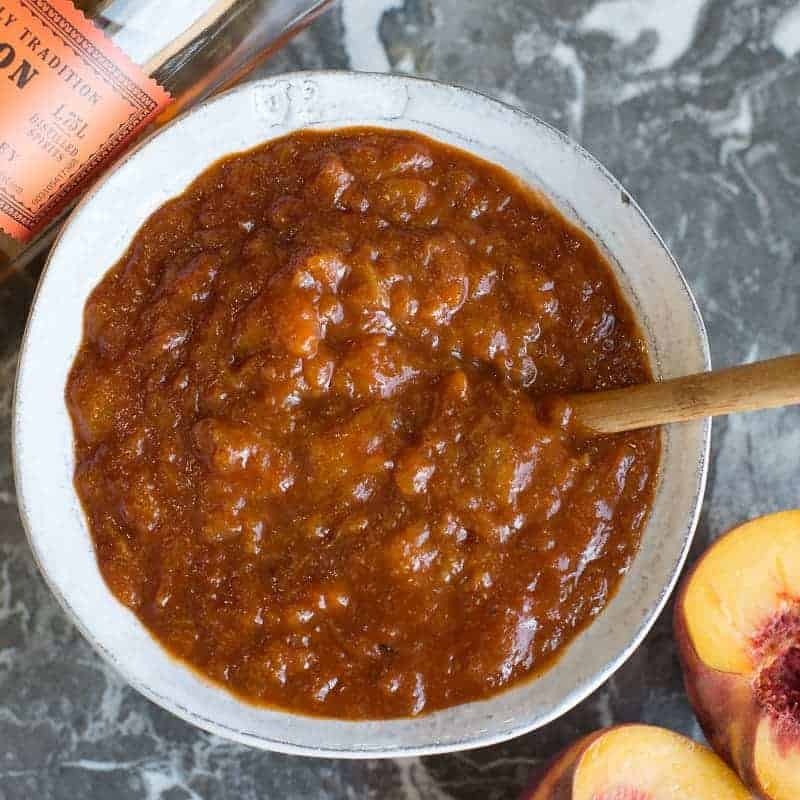 When peaches are juicy and ripe it's the perfect time to make this spicy sweet barbecue sauce. Peach and bourbon with a sweet and spicy kick! You know you want it!